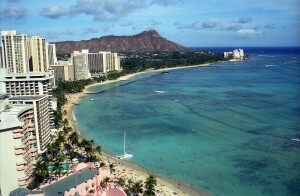 The Hawaiian capital city of Honolulu is the main entry point into and largest urban center on the Hawaiian islands. 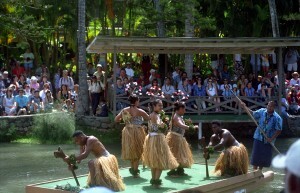 It is a modern, cosmopolitan city with multiple attractions for the tourist. 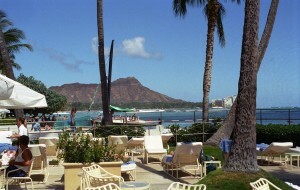 It is also the ideal base of operations for an exploration of the entire island chain. 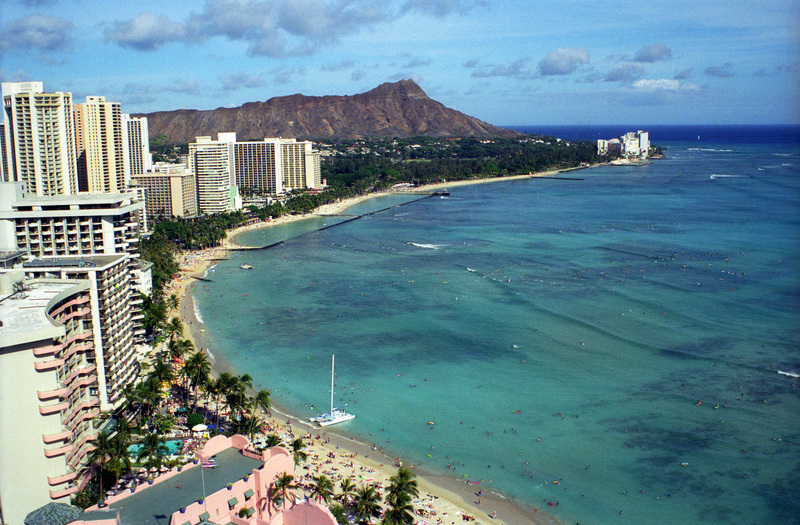 The main focus for visitors to the city is the Waikiki Beach area; the beach is lovely and family-friendly; and the views are spectacular. Several of the hotels along the beach offer even better views — this one is from the Honahona Room. Surfing is the most popular activity on the island of Oahu so it is no surprise that a prominent statue on Waikiki Beach is to one of the island’s many world champion surfers. 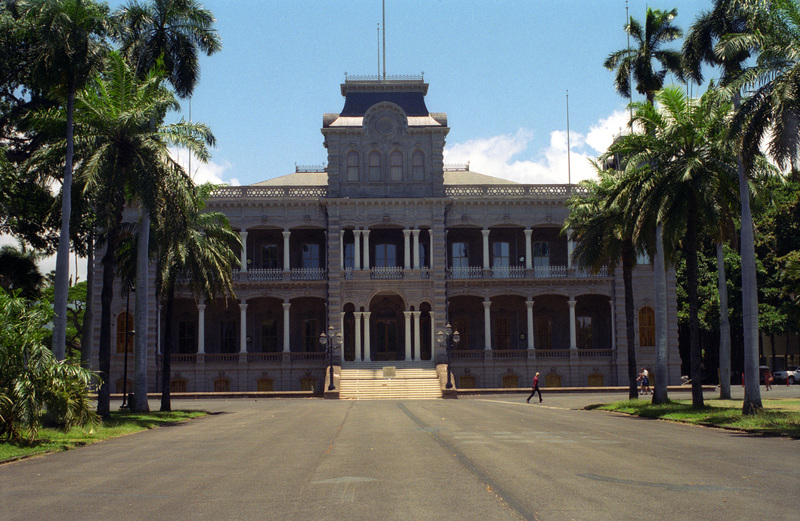 Before the United States acquired the Hawaiian Islands they were a monarchy. 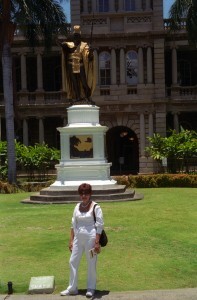 The man who conquered and unified the islands became the first King of Hawaii. 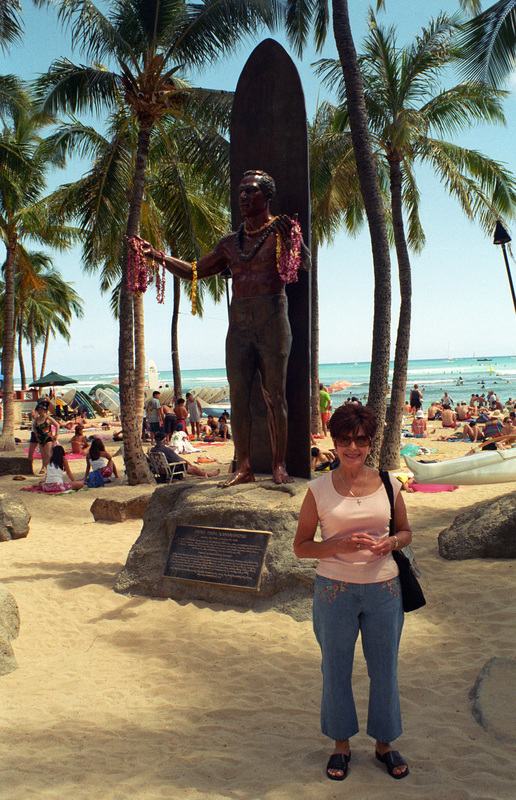 A statue testifies to his importance in the islands’ history. 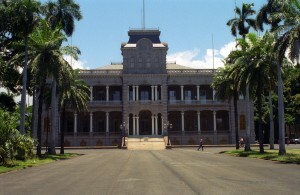 Across the street from the statue of King Kamehameha is the Iolani Palace, residence of Hawaii’s royalty and the only royal palace in the United States. 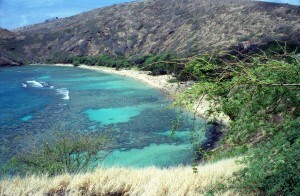 Just outside the city are several other must-sees. 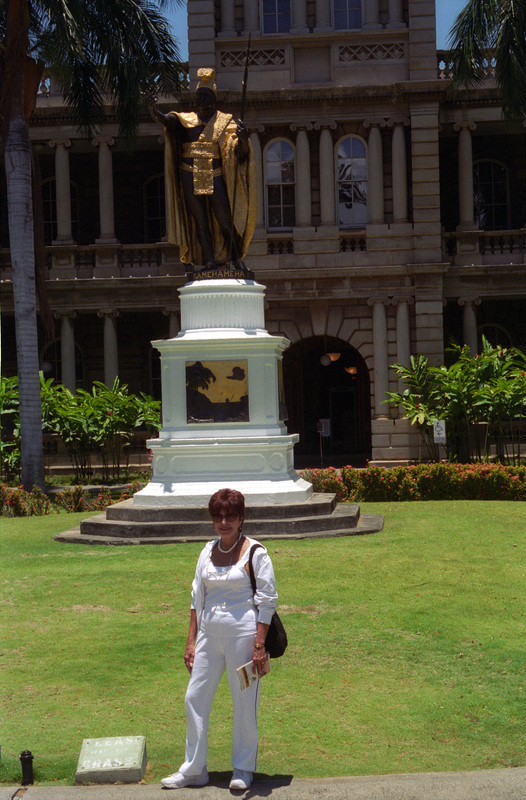 One of these is the location of, perhaps, America’s greatest tragedy, Pearl Harbor, where the Japanese attacked the US fleet by surprise on December 7, 1941. This “Day of Infamy” is commemorated on the USS Arizona Memorial, a symbolic, white structure in the harbor, directly above the American battleship where hundreds of lives were lost during the attack. Oil from the ship still rises to the surface after all these years. 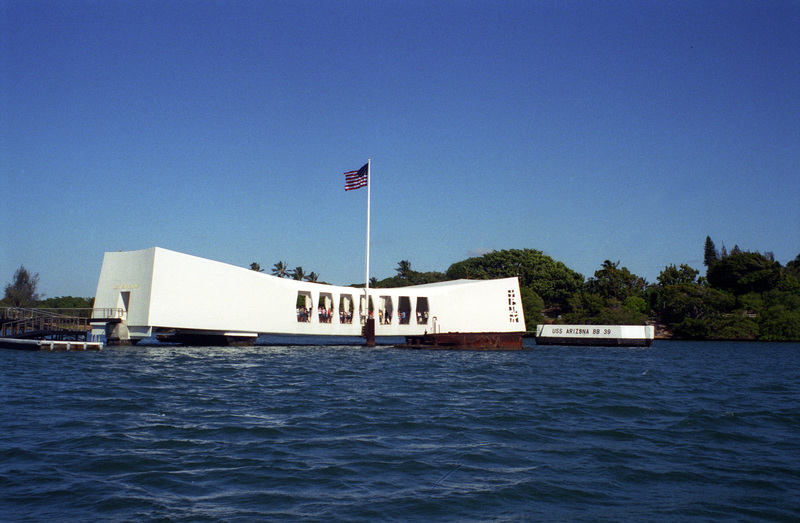 A visit to the memorial is an extremely moving experience. 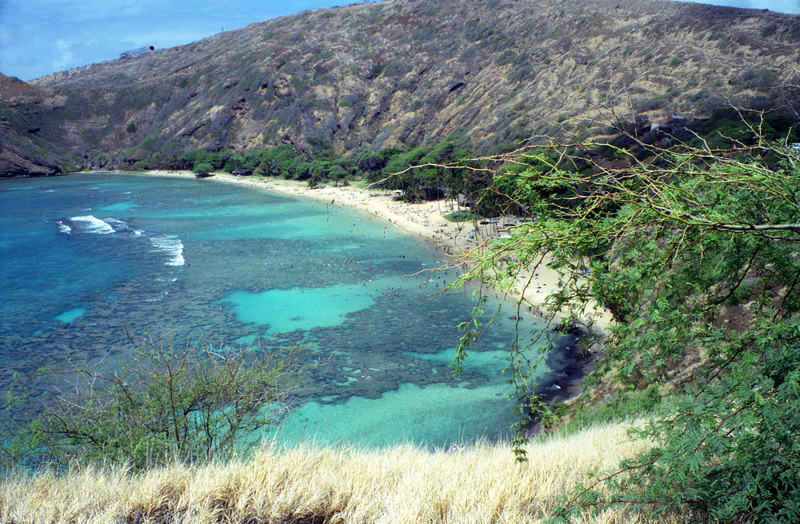 Just outside the city are several attractions which should not be missed: Hanauma Bay is a protected cove with coral reef extending right up to the beach allowing visitors to snorkel very close to shore while experiencing the multi-colored wonders of the reef. For a more tranquil alternative, stop at Byodo-In Temple to contemplate life’s mysteries or simply to pay respect to Buddha. 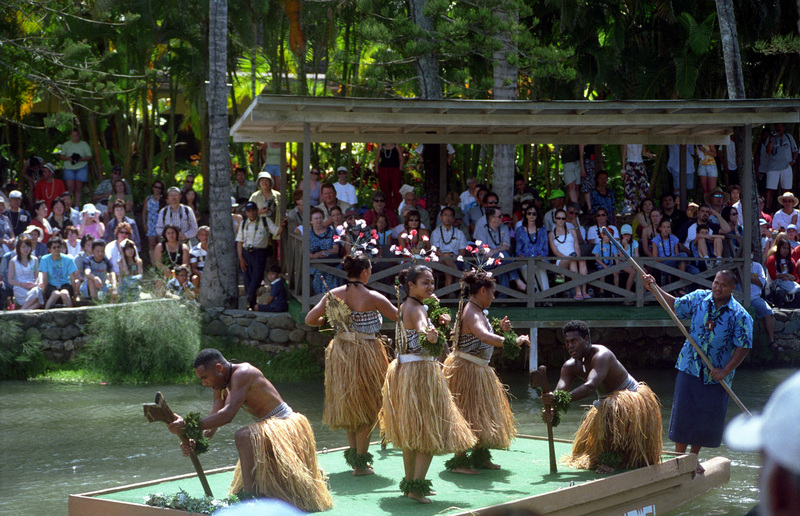 The Polynesian Cultural Center combines education and fun as visitors learn about the similarities and differences among South Pacific Island cultures. A stop here can be an all day affair. 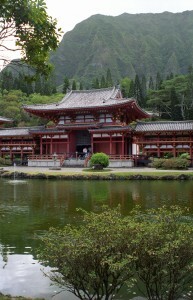 This entry was posted in Photo Albums and tagged US Travel, Walking Tours, World Travel. Bookmark the permalink. 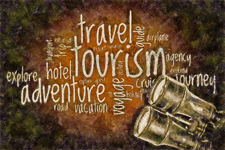 Gary is now offering his very own Walking Tour Guides direct to you! We welcome you to stop by the Walking Tour Guide Store and check out over 250 walking tour guides for locations all over the world.